Step 1: You will need patterned papers, Scotch tape, a small bowl of water, scissors and a bone folder. Step 2: Cut papers the width of the tape (3/4"). Step 3: Cover paper strips with Scotch tape. Rub the tape to the paper firmly with a bone folder to make sure it's attached down to the paper securely. Step 4: Place strip in water for 10-20 seconds, or longer if need be. Let it soak in the water until back of paper feels soft enough to rub off. 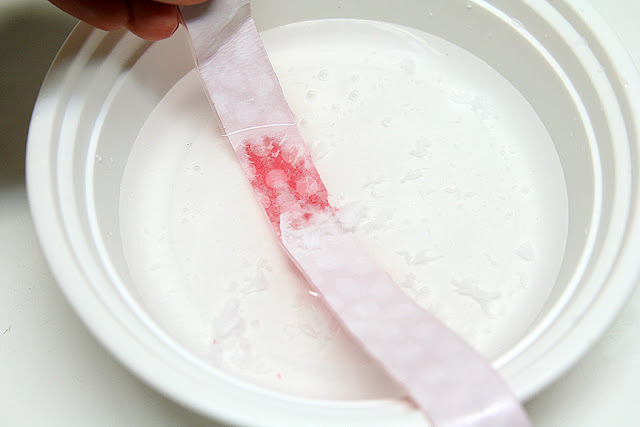 Step 5: Turn the strip of paper over and peel off the back of paper under the water with your fingers. Try not to scratch it with your fingernail, as the colorful part will be removed also if you scratch it too hard. Use the soft pads of your fingers or thumb to rub off the white part of the paper backing under the water until ALL of the white paper backing is removed. 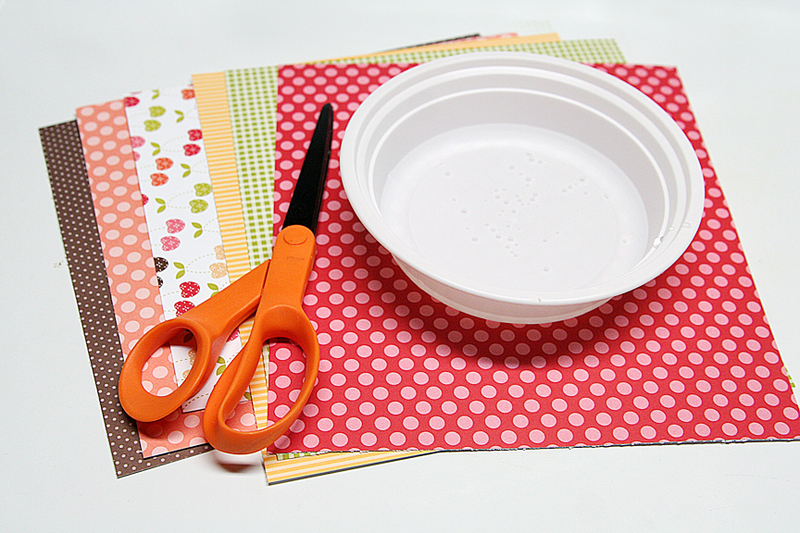 Now continue doing these steps with several different patterns, and you'll have some really neat transparent washi tape of your own! Aren't they adorable? I've used Summer Sunshine, Dark Chocolate, Melon Berry, Pure Poppy, Simply Chartreuse and Tutti Fruiti patterned papers. These are still a bit wet, but you'll want to let them dry before adding them to your project. You can trim the ends at an angle to make it look more like tape. The tapes look really neat overlapping the white cardstock, so I cut them up and used them around the edges of the card. I added a sentiment and cherries from the Fruit Fusion: Cherries stamps and dies. Give this a try! It's a lot of fun! This is so cool. I also loved the Carol Duvall show - really miss it. Thanks for sharing your talent. What a fun day this has been. Very cool!! I can see doing this a lot! I have had a great day learning from you all!! Thank you! How fun! 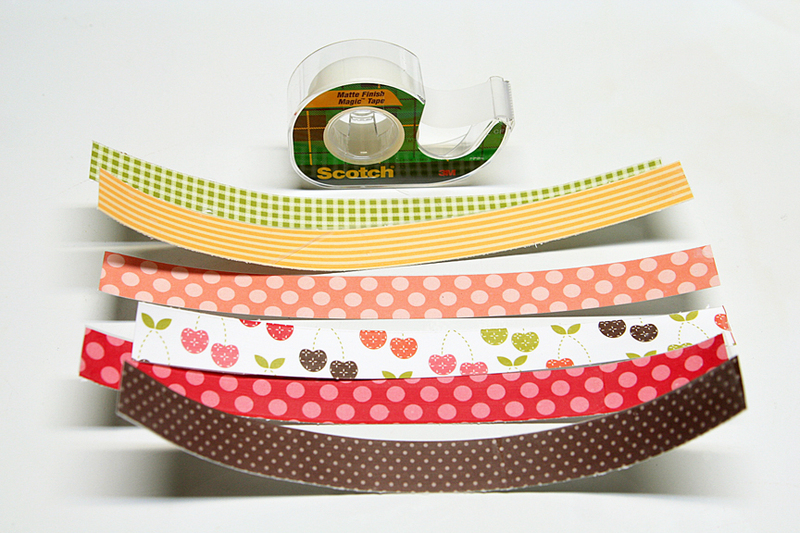 Did you use a special adhesive to adhere your washi tape? That is really a neat trick. Did you use liquid glue to adhere the strips or a tape runner. Do you have a preference? Wow, what a cool technique! How did you adhere the "washi" tape to your card? I love it.Just posted a link on my favorite MB.I miss Carol! Thank you! I used a tape runner to adhere the tape. Apply to the card though, not the tape. I tried wet glue, but it showed through the tape and I didn't like it as much. Thanks so much for this technique tutorial! I have been interested in washi tape but hadn't found any that I liked in my LSS. Now I can make my own!! Wow, this is so cool!! Thank you so much for the tutorial, I must try it! Cool technique! I love the look! I also loved Carol Duval's show! I watched it faithfully and got so many great ideas from her! What a WONDERFUL technique!!! Thank you for sharing this with us!!! What a great idea! What kind of adhesive did you use -- it doesn't seem to show through on your card. I saw this years ago but never thought about making my own washi! Thanks so much!! I've been trying to make my own washi and never thought to do this technique! Thanks for the inspiration! It is nice to see the older techniques coming back.Years ago I did this with the clear packing tape. I still have on VHS tapes some of the Carol Duval shows and want to transfer them to DVD. They are fun to watch. Also I found at the library books by her. I love your card and your diy Washi tape really adds to it. Thanks for sharing. You're a genius! I have jumped on so many trends (and spent accordingly) that I've really resisted buying washi tape. This is a perfect solution! Use what I already have and only make what I will use. Thank you. Thank you. What a fabulous, fabulous idea!! Cool! Can't wait to give this a go. Thanks for all your hard work for SAF!! Amazing tutorial! Must must MUST try! Oh, I miss the Carol Duvall Show!!! Remember Mary O'Neil stamping on velvet? 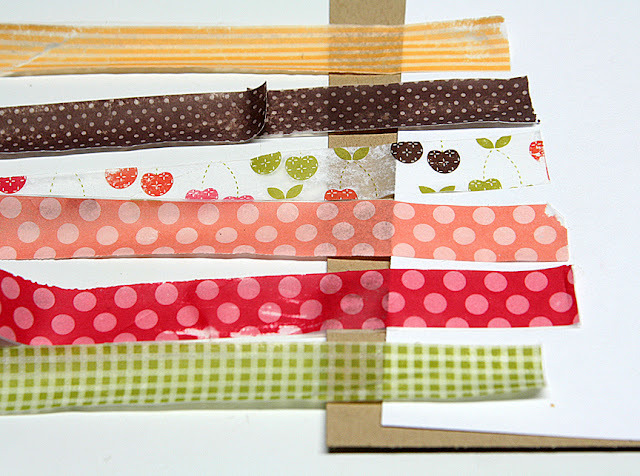 I do remember this tutorial with the photo and can't wait to make washi tape with it!!! That a GREAT tutorial!!! Thanks so much for sharing! 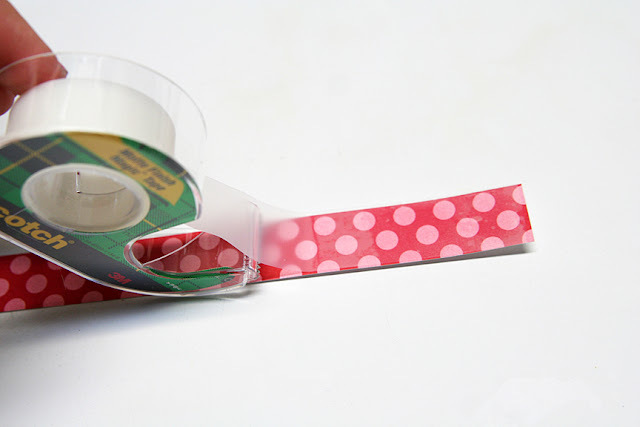 I've seen MANY MANY washi tape tutorials but this is the neatest one I've seen so far. Just an idea, one thing you can use to make the back of your washi tape sticky (maybe if you wanna send it to someone as an RAK or something) is the Xyron. You can either use a big one and put several strips in a row to put them all through at the same time, or if you just want to use small strips (like you've used in this project) then you could run them through the mini X xyron. 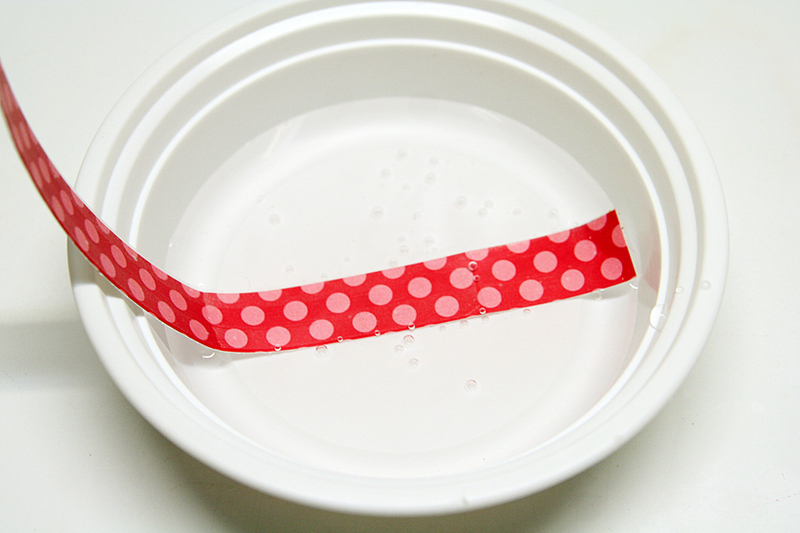 because the xyron adhesive is clear, it won't have any effect on the appearance of your washi tape's transparency! Hope to see more soon! (I'm a new follower). I like your tutorial. Thank you for sharing. I adore your projects. LOVED Carol's show. She was my first crafting idol. This is beyond fabulous! Plus it is fun. 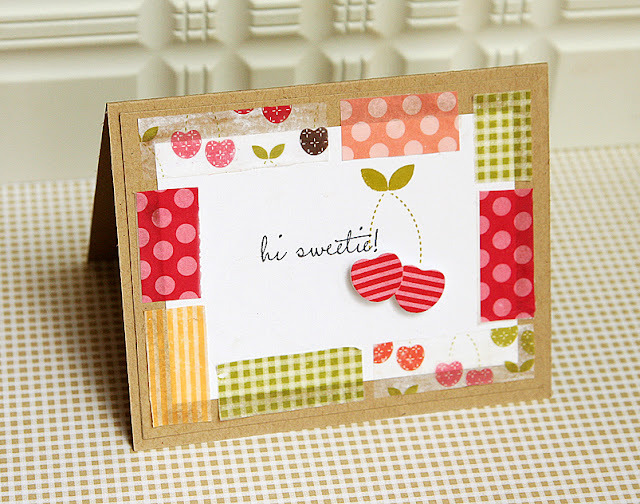 Inspired By Stamping has a great batch of Washi Tape projects today. Thank you for sharing this technique. BTW, are you a Fiskateer? 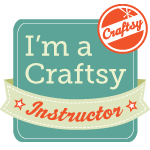 If not, we would love for you to join us at www.fiskateers.com - great crafting community. I love Washi tape! Will definitely have to give this a try. Thanks so much for sharing! I just tried this, it's brilliant! This is curently my favorite handmade embellishment. THANKS FOR THE TUTORIAL!!! 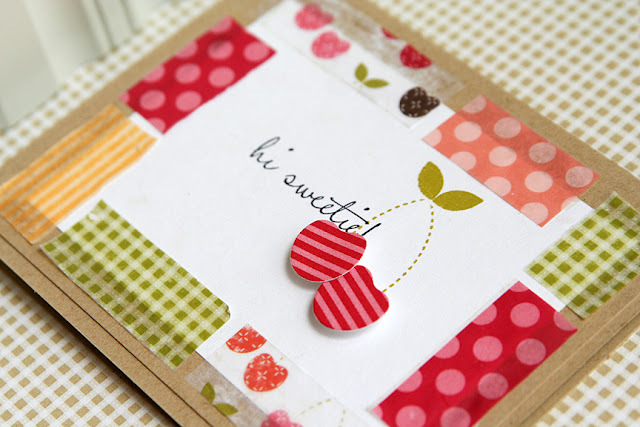 Using journal cards to create pockets. 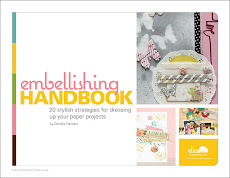 Working with fabrics on layouts.